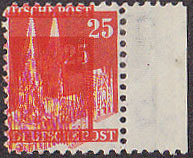 18137 VAR GERMANY (1948) Cologne Cathedral*. Double print resulting in a blurred image. Scott No 648, Yvert No 55. 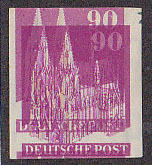 18138 VAR GERMANY (1948) Cologne Cathedral*. Double print resulting in a blurred image. Scott No 657, Yvert No 64. 10790 VAR GERMANY (1980) Felix Mendelssohn*. 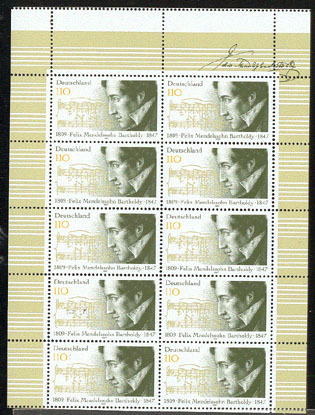 Sheetlet of 10 stamps miscut with no bottom margin and oversized dramatic top margin with form number, which should not appear. Schlegel photo certificate. Scott No 1980, Yvert No 1785.